As we drove across Southern Arizona late this afternoon, I sketched the landscape from the comfort of an air conditioned passenger seat. I focused on catching the big shapes of the desert mountains and sky with pastel. It was a pretty good way to appreciate the desert in mid August. This is a pastel sketch on black paper. 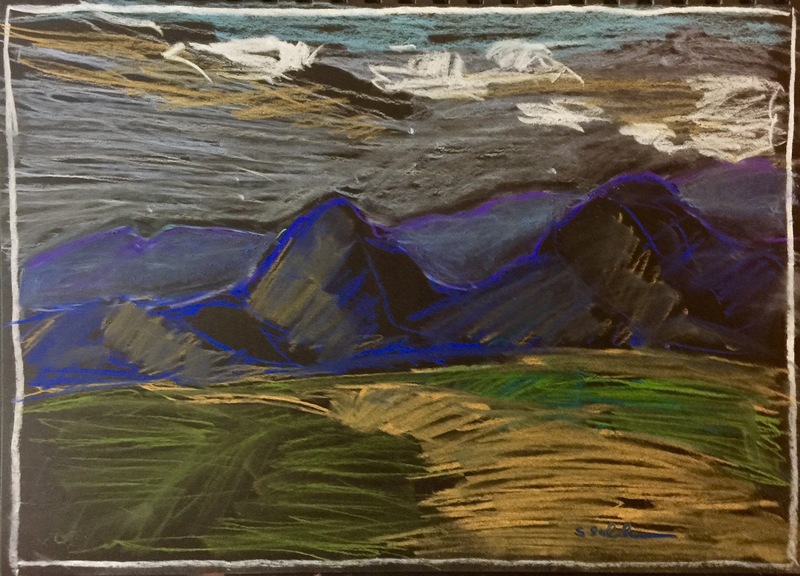 This entry was posted in Landscape and tagged Dateland Arizona, Pastel, Southern Arizona. Bookmark the permalink.